When looking at the Class of 2012, experts in the field of education paint a bleak future – comments and criticism have been levelled at the high dropout rate, the quality of education and the poor study and employment opportunities available for successful matriculants. There are 136 047 learners who qualify to apply for a Bachelor’s degree of their choice –The Pervading problem is that there are simply not enough places available at South African tertiary institutions to accommodate all of them. Furthermore, many of these young school leavers do not have the means to access conventional tertiary institutions, either geographically or financially, or because space has become a problem. The result is that potential industry and business leaders are being lost before they have even been discovered. Yet, as Education Minister Angie Motshekga says ‘this country needs you.’ And she is right – the country’s economy is desperate for a skilled, competent, job-ready workforce. Whereas in the 50’s, 60% of jobs were unskilled, in 2013 well over 65% of jobs require a skilled workforce. The reality is that skills development needs to be prioritised. And so, a solution which provides opportunities for increasing participation in Bachelor degrees for candidates that meet the requirements, needs to be sought. 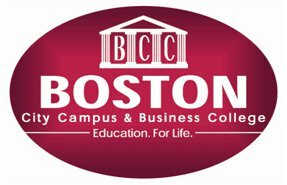 Boston City Campus & Business College, with over 40 tuition centres nationwide, has indeed taken note of this need. For the past 20 years Boston has provided flexible, affordable and workable solutions for learners who want to ‘realise their dreams’. Now with its new Bachelor of Commerce Degree in Management Marketing, it is listening to the needs of school leavers, and accommodating them by providing another alternative for learners who have what it takes to acquire the skills that the market place so desperately needs. The course caters to the need for competent middle and senior managers as expressed by employers. It addresses the skills, knowledge, attitudes and values required by managers. ‘In the increasingly competitive, sophisticated and changing world of work; the continued development of higher order applied knowledge is essential. This curriculum has been designed to give graduates the skills required for managing life-long learning, to build successful careers and to remain productive and responsible citizens,’ says Hendrik Botha, Academic Head of Boston’s Higher Education Department. Boston provides for the needs of those who have qualified with marks good enough for tertiary education but who do not have access to a resource rich environment, who experience difficulty with taking control of their study environments and who relate better to auditory and kinaesthetic learning styles. Boston opens the door for these individuals enhancing their learning experience and skilling them for a demanding workplace. Don’t miss out on the opportunity to become a part of the Boston experience – applications for the 2013 academic year are now open. Applicants are invited to contact the Boston City Campus & Business College Head Office in Orange Grove on 011 551-2000 or any of our Tuition Centres nationwide for more information on how to proceed with their application for admission into the BCom degree programme. Alternatively, application for admission can be completed online by visiting www.boston.co.za/bostondegree and by following the links provided.